Seniors (65-79) Ski For $25 Mid-Week At This Classic NH Gem. Majestic Mt. Washington is across the valley from Bretton Woods. Down Cascade, up to Rosebrook Summit, down Upper Swoop, down Cascade, across to Diamond Ridge, down Deception Bowl, up the Bethlehem Express, down Big Ben, up Zephyr High Speed Quad, down Granny’s Grit. 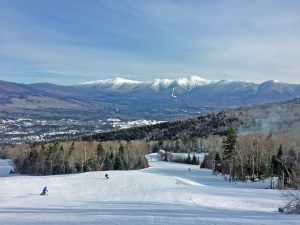 The skiing at Bretton Woods, NH, was so smooth and our trips so fast, that you didn’t have time to think what joint might be aching that day. We were skiing with a group of 50-plusses and one 80-plus, all fabulous skiers with years of experience behind them. The grooming at Bretton Woods yields the best type of New England skiing with manicured slopes, wide open avenues, very hard pack with enough surface snow to grip. We blazed all over the mountain, happily racking up the vertical, on our apps or psyche. Most of the intermediate slopes were open and provided plenty of fun on Rosebrook and West Mountains. 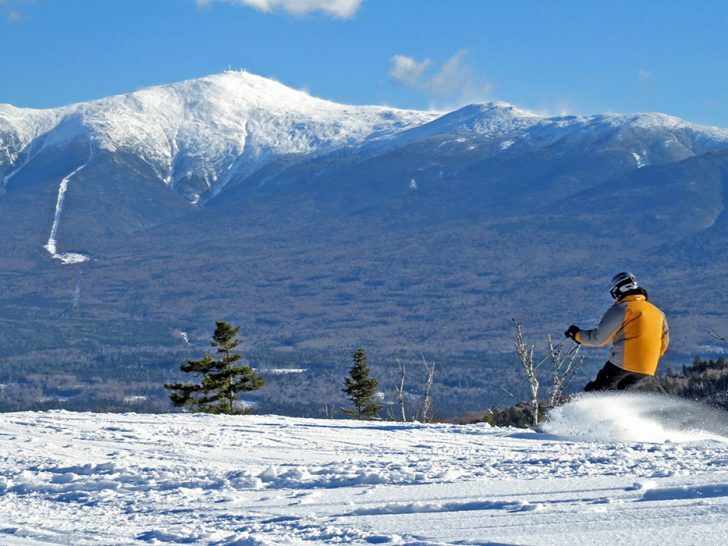 Beautiful, broad skiing avenues make for nice cruising at Bretton Woods. The overall experience here is a friendly mountain that’s fun to ski. There’s plenty of skiing available for an older person without putting too much pressure on hips and knees. For tree skiers, the glades are fairly open in keeping with the resort’s easy-going nature. In 2012, Bretton Woods added a T-Bar servicing Mount Stickney with 30 acres of more challenging glades. There is plenty of tough terrain on this hill once nick-named Medicare Mountain. Four high-speed quads keep you going, and on crowded days the lift personnel keep the lines moving in a fair and congenial way. What that allows you to do is just relax and rip. Plus all trails lead ultimately to the base lodge, minimizing separation anxiety from your ski companions. Some say Bretton Woods, NH’s largest ski area, is more protected from the weather than other areas. You can always look across at storm clouds unfurling off Mt. Washington (the Northeast’s highest summit at 6,288 feet) and be happy that at least you’re not up there. Across the street is the giant Omni Mt. Washington Hotel, like an ocean liner cruising across the White Mountains. Plan a visit, if only to stroll through the wide halls under 23-foot ceilings and take in the views of Mt. Washington from the Rosebrook Lounge sipping a cool Chardonnay. To walk the hotel’s halls and verandas is to stroll through White Mountain history at its most hospitable. Built in 1902, the hotel most notably hosted the 1944 United National Monetary and Financial Conference to build the bones of a post-World War II economy. Walk into the room off the main lobby where the final treaty was signed. Meanwhile, stretch your downhill muscles on the 62 miles of impeccably groomed X-C trails. They are also open to snowshoeing and fat tire bike riding. 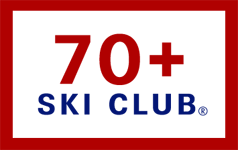 Seniors 80 years and up ski free any day, and those 65-79 ski for $25 midweek/non-holiday. Open to skiers and riders age 50+. This is group ski program under the guidance of an instructor who will coach you down the mountain. 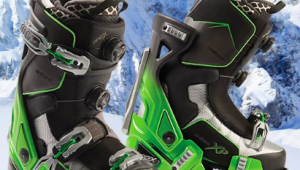 Includes morning refreshments at Slopeside, receive 10% off retail, 10% off demo equipment. Runs Jan. 3-March 14, Tuesdays 9-12. Meet on Slopeside Level of Base Lodge. $125 per person for the season, $199 per couple. 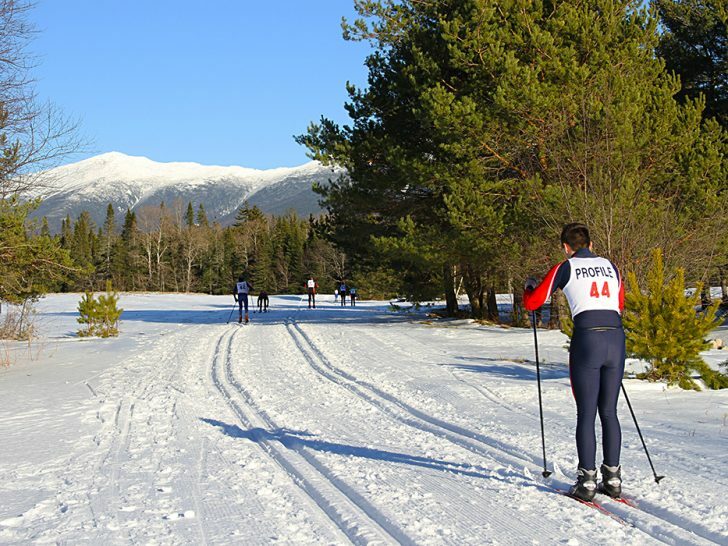 Bretton Woods boasts a network of well-groomed Nordic trails.